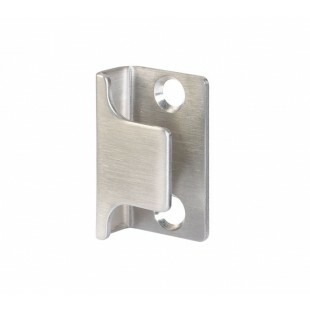 This ‘U’ shaped toilet cubicle lock keep makes a great choice for those seeking an indicator lock keep for surface fixing onto a flush, rebated or open out door. 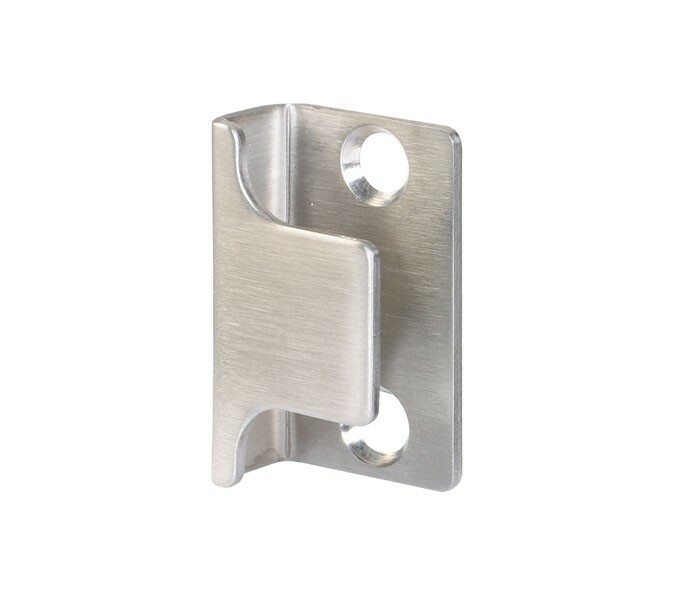 This product is suitable for fitting to 13mm or 20mm board and is manufactured from grade 304 satin stainless steel for a high-quality finish that corresponds with our full range of satin stainless steel cubicle hardware. Our toilet cubicle lock keep is supplied complete with the wood screws ready for fitting to a flush or rebated door. If fitting to an open out door, two 15mm buffers (T951) are required to ensure correct alignment when fitting.